Darell says, however, that he finds the pressure from working for Microsoft fascinating. “Anything that we do will affect millions of people around the world,” he goes on. He thinks of Microsoft as a programmer’s Mecca and a place where great minds meet to brew the next generation of software. He continues, “We have a bunch of activities for employees like soccer, softball and others that take place during work hours. Yes, during work hours! We have X-box, foosball and pool tables lying around.” To think that there are actually companies which firewall off Facebook! Some people just do not have a clue. Moreover, employees have their own work hours. At the end of the day, though, everyone is judged in terms of output. 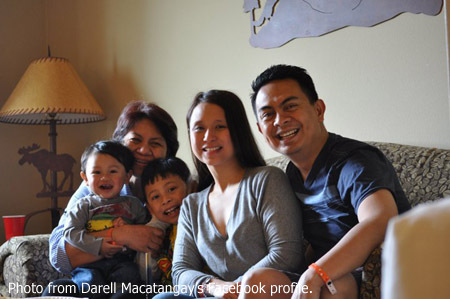 “What matters is what we deliver and that is how our performance is measured by,” Darell says. That is why, despite the informal atmosphere, he adds that at Microsoft, the environment is also very competitive. Darell is Batangueño born and bred. He is the son of Edgardo Macatangay and the former Dativa Dimacuha. He has two sisters in Lea Angela and Lucia Francisca; and a younger brother in Edgar Patrick. And the rest, as a worn-out cliché goes, has been history. The two have been married for eleven years and have two sons: 9-year old Derek Matthew and 3-year old Ruiz Benigno. The small family lives in Redmond, which is a suburb of the city of Seattle. It rains a lot, Darell admits; but mostly light drizzles on and off throughout the day. The summers, he says, are however excellent. “We average about 70° to 80°F while the rest of the country is in the scorching hundreds.” The winters are not bad, either; with on average just a week’s worth of snow scattered all throughout the season. 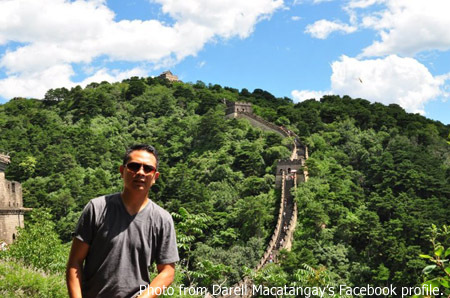 Perhaps, at a latter time when work is not as demanding of his time as it is now, Darell will travel a lot more. “I have always wanted to visit Germany because of its engineering and Japan for its technology,” he confesses. But there are other things on the bucket list as well: open his own business; see the Seven Wonders of the World; run a marathon; scuba dive; sky dive; and one day own a big bike. Still on the right side of middle age, Darell feels that he still has so much to achieve both personally and professionally. He thinks of himself as a goal-oriented person who has given 110% of himself in every task that he has ever taken on. 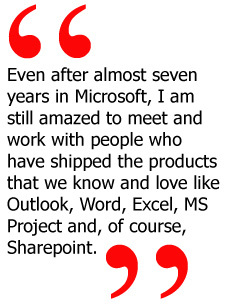 He says that he is having the time of his life at Microsoft, with which he hopes to stay for a long time. “Good pay, good people, good career-path,” he sums everything up. 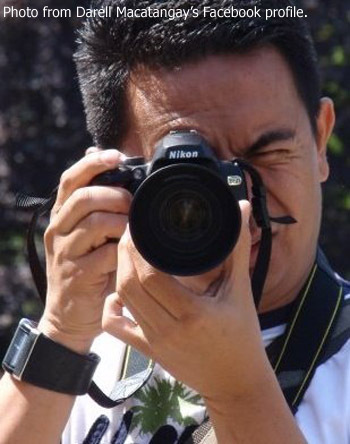 Darell’s life, thus, has been all about passion: passion for a wife he loves and boys he adores; passion for a company that he finds great joy and pride to work for; and even for the art of photography which he continues to sustain as a hobby despite the hectic world of work in a top corporation.